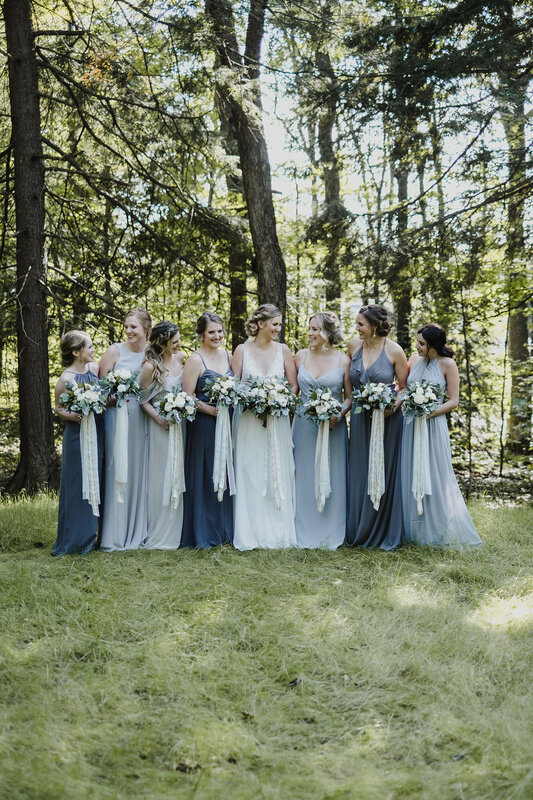 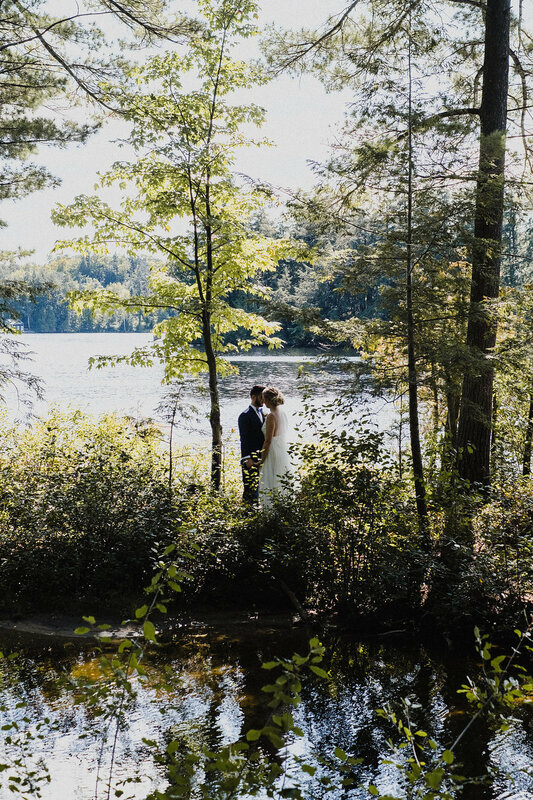 Guests flowed between the bar, tucked into the woods, and the flagstone lakeside patio sipping cocktails and nibbling on hors d'oeuvres, kettle chips + seasoned popcorn. 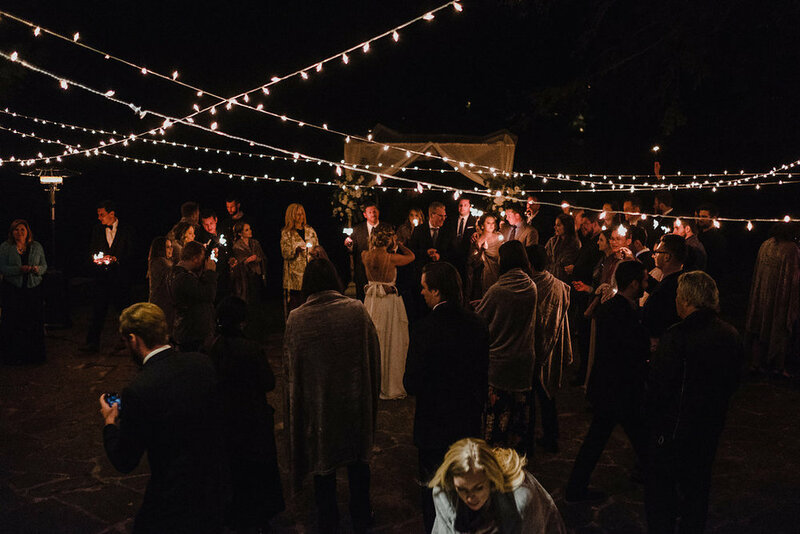 A clear-top tent illuminated with a canopy of sparkling twinkle lights housed the dinner reception followed by dancing the Hora lakeside into the night surrounded by sparklers. 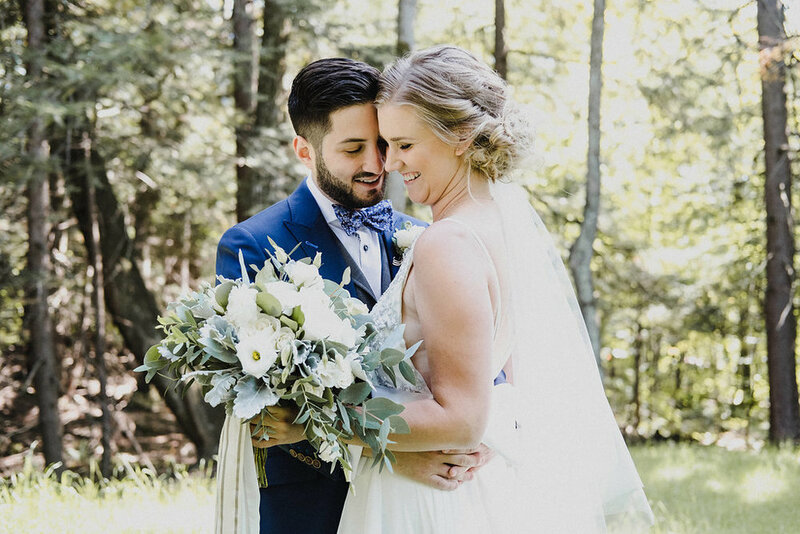 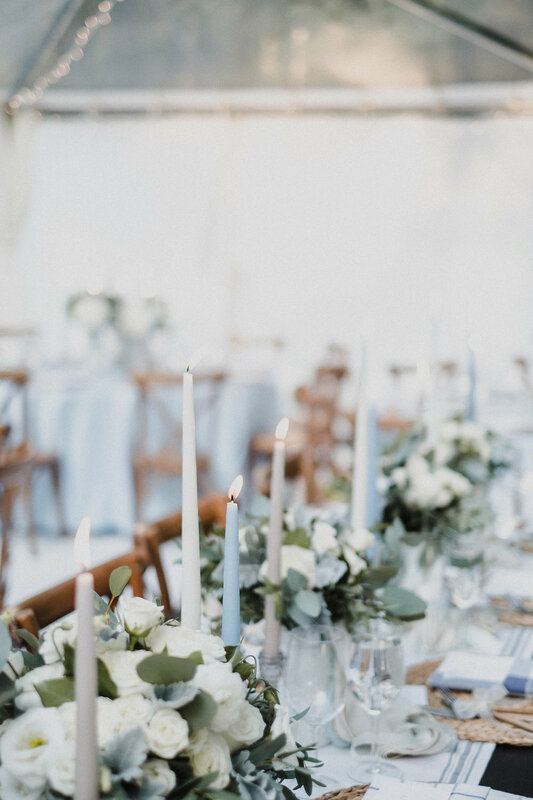 If you are interested in having Lucy Myers Events assist you with the wedding of your dreams, view our services and contact the LME team for our packages + pricing.